Haemorrhoids (Piles) is a common disease affecting people of all ages. Early treatment is essential and should not be undervalued. Many people neglect treating this condition early on which can lead to unpleasant complications requiring surgical procedures. Many of the most popular treatment creams on the market contain chemicals that are toxic and irritate the skin. Our 100% natural products containing beneficial plant extracts which help alleviate the signs and symptoms of haemorrhoids (piles). Haemorrhoids can be treated with a natural treatment which has a proven record of results. One of the most effective natural haemorrhoids treatments is the direct application of medicinal herbs on the affected areas. Aurumflex Balsam, which contains a combination of the most potent medicinal herbs, is the best choice for people suffering from this condition. Our Aurumflex Tea contains all the most useful medicinal herbs, and is a great complementary internal treatment This tea includes potent herbs such as Shepherd's purse, Pot marigold and Dandelion root . 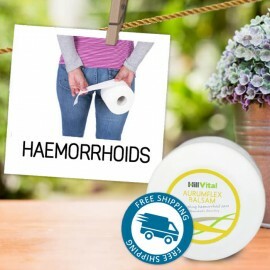 Properly selected skin care products are essential for the successful treatment of haemorrhoids. 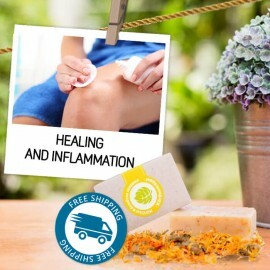 For thorough and gentle cleansing of an area affected by piles, we recommend using our delicate Marigold soap, designed to heal wounds and soothe inflamed skin. Looking for something that can help you overcome the chronic condition of haemorrhoids? You’ve found it. 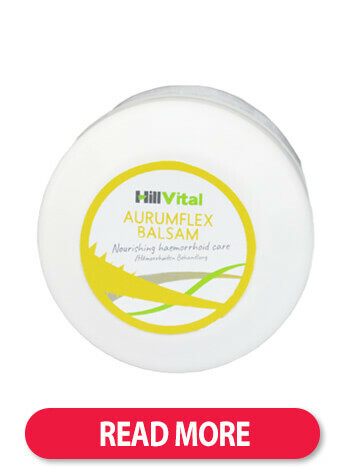 HillVital natural products contain no parabens, steroids or harmful chemicals. 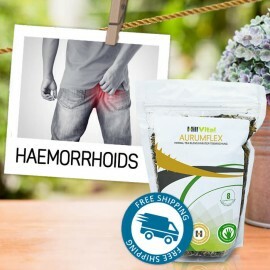 What it is: Our Aurumflex cream is a natural cream for hemorrhoids (piles) with a unique composit..
For haemorrhoids (piles). Balsam contains 15 carefully selected herbs that help heal haemorrhoids. Its anti-inflammatory, antiseptic and anaesthetic properties don’t burden the organism. 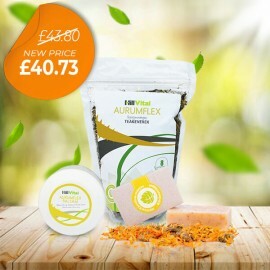 Aurumflex herbal tea contains: Shepherd's purse - relieves bleeding making it suitable for ..
For haemorrhoid treatment. Natural composition of 8 healing herbs for supportive treatment of haemorrhoids from within. Shepherd’s Purse has proven healing properties that help with haemorrhoids.